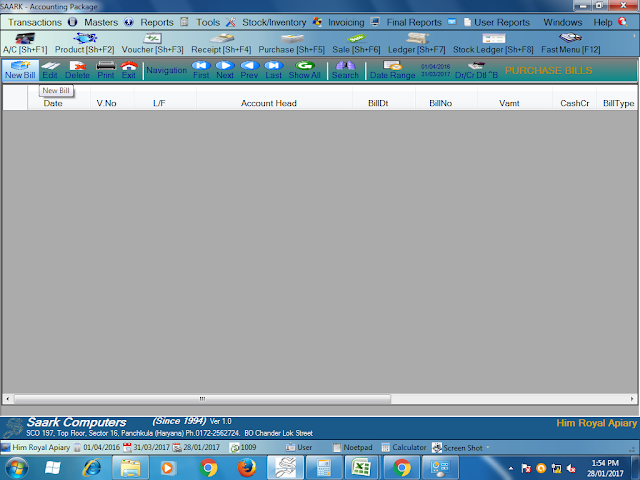 Today I learn how to enter purchase bills in saark accounting software. When we purchase goods for business purpose its called purchase and the invoice of goods purchase is purchase bill . Purchase may be cash or credit. Purchase bill included name of company in which we buy goods, consignee name, invoice number, date of bill, descriptions of goods like name of goods, quantity, rate, amount,tax etc. 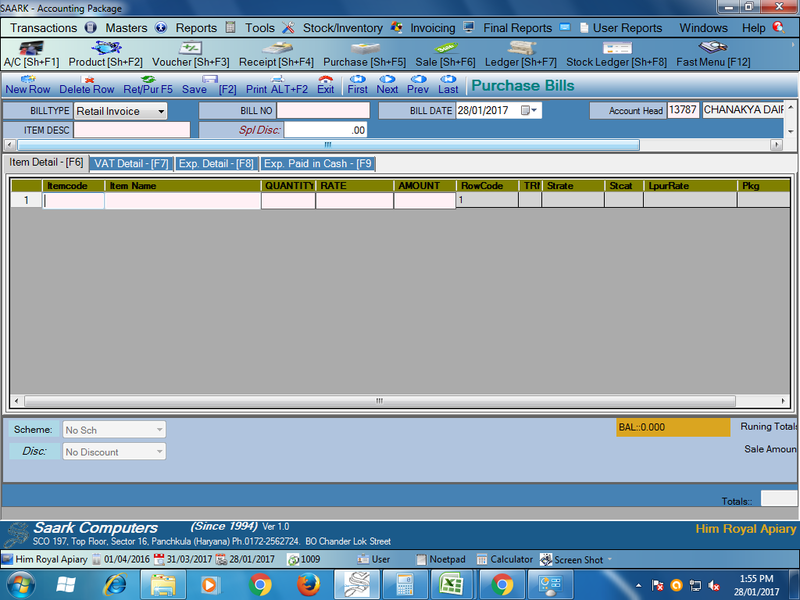 So lets learn how to enter Purchase bill in saark. After that go to the purchase bill option,again go to the purchase bill then click on purchase bill you will found a new page. 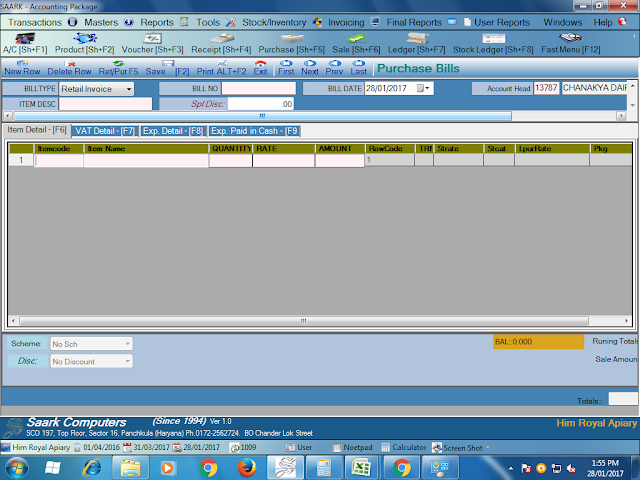 you will seeing a new page then select the date of voucher, type of voucher like if you want to enter purchase bill you will select the option purchase bill, select cash or credit if you purchase the goods on cash then select cash otherwise select credit,select the date of bill,then enter the supplier name. 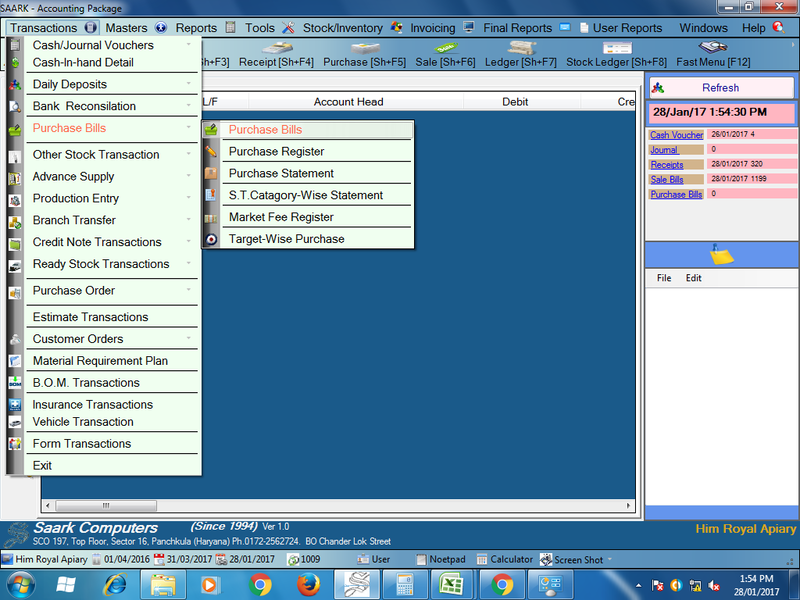 After that fill up the details of goods Purchase in given below columns as item name, quantity , rate. Then save the purchase bill from SAVE Tab which is the center on the page.